The HydraFacial is medical grade all-inclusive treatment that unclogs, de-greases, peels and purifies the skin for instantly glowing skin, without irritation or downtime. The HydraFacial MD works like a skincare tornado, clearing away all debris & dirt in its path. This powerful patented technology unclogs pores & perfects your skin.This treatment is the evolution of traditional facials, using technology to bring about lasting and immediate change to the skin. Pores are deep cleaned to perfection and your skin will get a whole new world of glow. Also great for men, mom’s and teens! 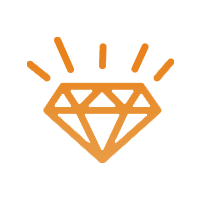 How Much Does Hydrafacial MD Cost? Choose this option to receive a free consult to learn about our facial treatment options. The ultimate "skinprovement" with this 9 Step experience for transformed skin.Includes deep cleanse, your choice of medical grade peel (7, 15 or 30% Glycolic/Salicylic), vortex extractions, anti-oxidant infusion PLUS Micro Current for toning, LED for acne, High Frequency to kill bacteria, & your choice of Zein Obagi Mask. Includes neck & upper chest. 45 minutesIdeal for those who want best results. Great right before a special event! Erase all skin worries with this fast acting peel that treats spots, dots & more!This 3 step peel by Obagi melts into the dermis for a whole new world of clear skin. Due to the strength of this treatment, residual peeling will occur. Includes a bonus take home product for aftercare. Safe for ALL skin tones. 911 skin repair for oily, problematic and acne prone skin. 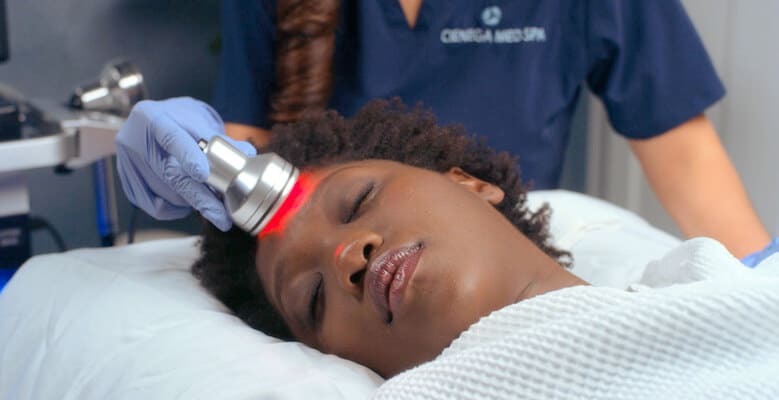 This medical grade facial includes a full detox of your skin to target deeply trapped bacteria, breakouts and clogged pores. Feel your skin breath again with this 50 minute deep detox. Includes manual extractions, a sulfur mask, deep scrub and exfoliation, and a relaxing head, neck and shoulder massage. Using products by Obagi. Pamper dry, sensitive or aging skin with this deeply hydrating treatment. An aloe gel mask and a sumptuous Growth Factor serum drive non-oily hydration into the skin to repair stressed skin. Also includes manual extractions, mild exfoliation, plus a relaxing head, neck and shoulder massage. Using products by Obagi. 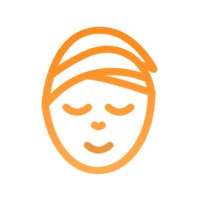 Get stunning, glowing skin with this facial that includes deep infusion of pure Vitamin C.Ideal for dull skin, clogged pores, sun damage, spots, dots & other imperfections needing help. Also includes manual extractions, deep exfoliation, a medical grade ZO Vitamin C Brightening Sheet Masque, plus a relaxing head, neck and shoulder massage. Using products by Obagi. Who Can Be Treated With A Hydrafacial Md? Anyone looking to correct acne, impurities or dull skin. 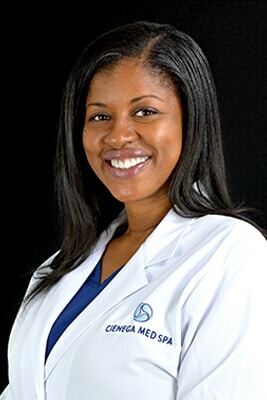 Who Is An Ideal Candidate For Hydrafacial Md? Male or female of any age can receive great results from our Hydrafacial MD. 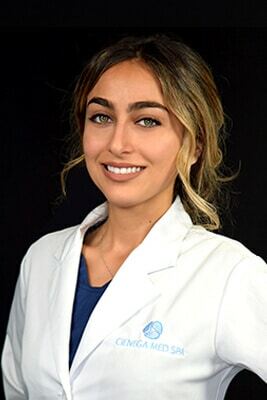 How Is Hydrafacial Md Unique? Unlike a regular facial that may not target clogged pores and dull skin, our Hydrafacial MD works to deeply cleanse, extract and purify your skin for immediate results. What Areas Can Be Treated With Hydrafacial Md? The face, neck and chest may be treated. Is The Hydrafacial Md Safe? Completely safe. 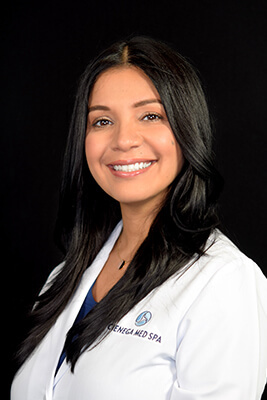 In fact, our Hydrafacial MD is safer than a traditional facial because we are not harming the skin to extract clogged impurities. 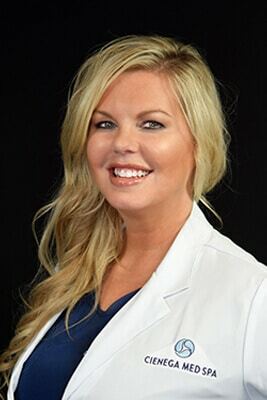 What Does The Hydrafacial Md Feel Like? 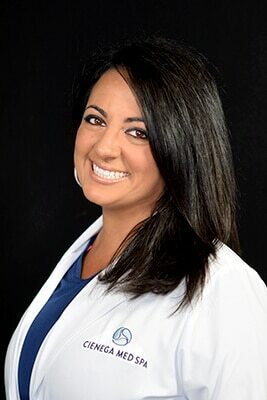 Our Hydrafacial MD is actually very soothing and relaxing. It feels like a gentle exfoliation during many of the steps. Not even a little bit. One of the best things about the HydraFacial MD treatment is how gentle yet deeply effective it is. Is Hydrafacial Md For Men Too? Absolutely. Men can appreciate incredible results with just one treatment. How Long Does The Hydrafacial Md Treatment Take? Depending on which treatment you choose your treatment time will range from 20 minutes to 1 hour. How Many Hydrafacial Md Treatments Will I Need? 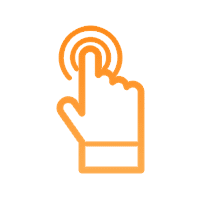 Those with problem skin may require multiple sessions to fully correct their skin, while those with normal skin may see impactful results within one or two sessions. How Soon Will I See Results From My Hydrafacial Md? How Long Do The Results From A Hydrafacial Md Last? Results generally last up to a few weeks before another treatment is needed. Your skin will feel velvety smooth and enlivened. Your pores will feel cleaner and your skin will appear a bit brighter. What Should I Do To Get Ready For My Treatment? No pre-prep is needed. Please make sure you do not have a sunburn on your desired treated areas before your appointment. What Can’t I Do Post Hydrafacial Md Treatment? You may return to normal activities or travel post treatment. 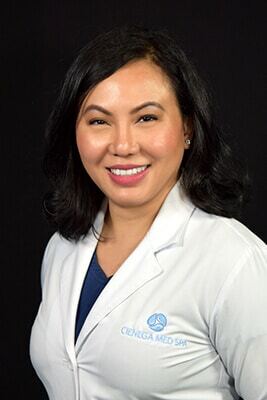 What Is The Follow Up Care Of Hydrafacial Md? No special post treatment care is needed. 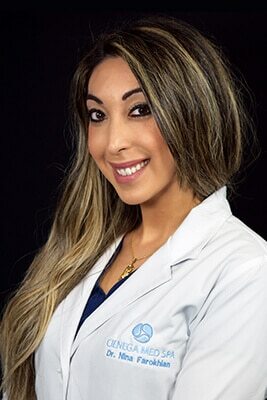 When Should I Get My Next Hydrafacial Md? We recommend one session each month. 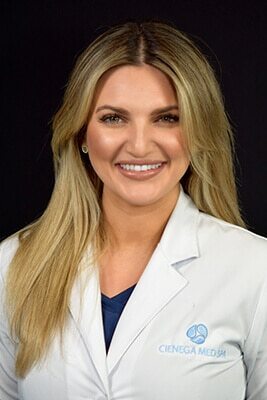 Can I Get A Hydrafacial Md Before A Special Event Or Travel? Absolutely. Because HydraFacial is gentle while effective, you are able to go to your special event, or back to work right after your HydraFacial treatment. 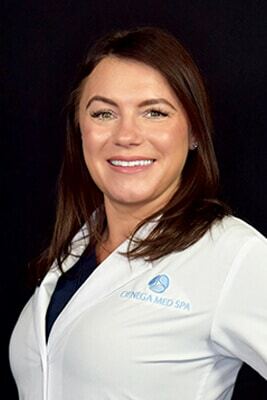 Is There Any Downtime From Hydrafacial Md? There is no downtime post treatment with the HydraFacial MD. This truly is a glow and go facial. Who Should Not Get The Hydrafacial Md Treatment? 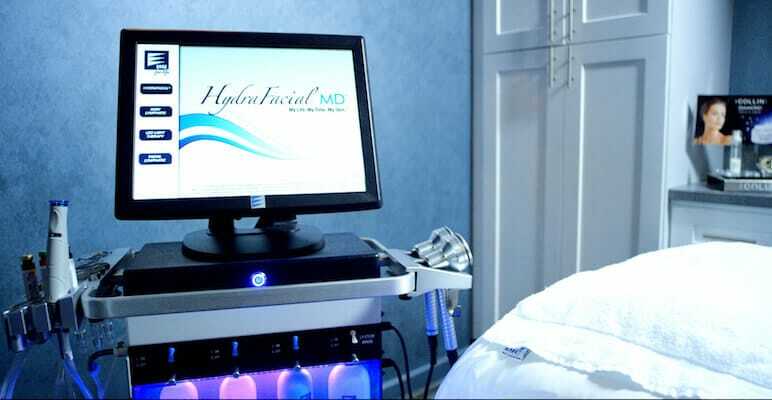 Those with an allergy to shellfish, pregnant or lactating mothers, and those who are prone to herpes outbreaks would not be suitable candidates for the HydraFacial MD. 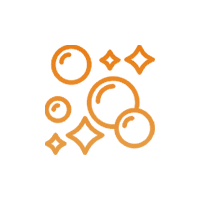 What Are The Common Side Effects Of Hydrafacial Md? There are no side effects from our Hydrafacial MD. 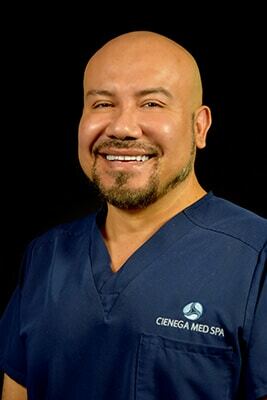 What's Included In The Cienega Med Spa Hydrafacial Md? First, the skin is cleansed and degreased. The vortex tips drives in lactic acid and algae extract to unclog pores and draw out impurities. This process is safe enough to not provide any downtime, but effective enough to really get in and deep clean.The second step is to apply a medical grade peel of glycolic and salicylic acids to gently remove dead, dull skin cells. This powerful exfoliation leaves your skin brighter, softer and noticeably improved.This is followed by the patented vortex vacuum extractions which deeply unclogs pores without pinching and redness typical with extractions from traditional “old school facials”. 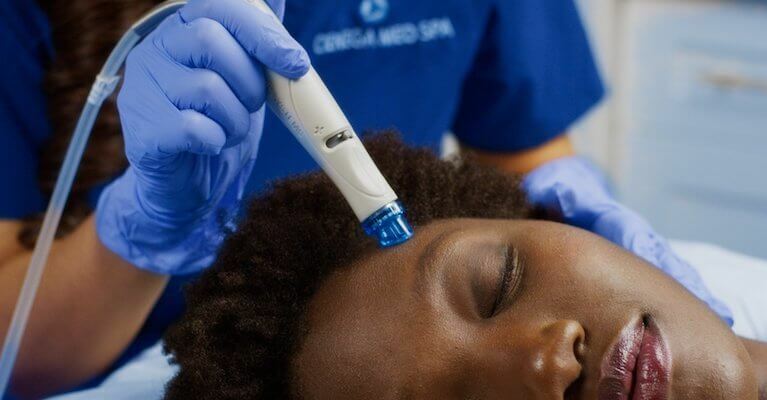 Yes, with Hydrafacial you can get deep pore unclogging without redness, marks or dark spots! This makes this the ideal option for those with sensitive skin.Lastly is the infusion of powerful antioxidant serums and peptides followed by our ZO (Zein Obagi) finishing products that are tailored to your specific needs. We will choose just the right hydrator, sunscreen and lip treatment.We are confident our Hydrafacial MD will be your new favorite.